Super interior fold out for the beloved Lurline. 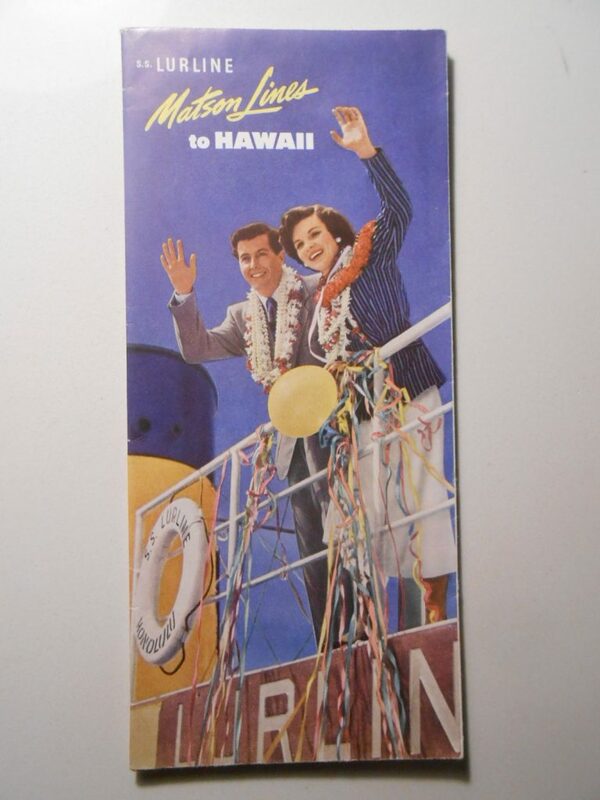 Just lovely Hawaiian graphics of lei's intertwined around beautify color photos of the ship. Some of this furniture survived until the end of her life for the Greeks. A couple of little pin prick holes at the seam overlaps.